In this step-by-step guide, you will find instructions on how to change Audi Mass Air Flow (MAF) sensor. Changing the mass air flow sensor on an Audi is very easy and takes less than 30 minutes, even for beginners. Average cost to change Audi Air Mass Sensor at the dealer or auto repair shop is between $180 and $350. Average cost to change Audi MAF Sensor yourself is between $20 and $85 including parts and tools. The instructions in this guide will help owners of Audi A1 A3 A4 A5 A6 A7 Q3 Q5 Q7 TT change MAF sensor. Engine stalls soon after starting. The engine runs unusually lean or rich idling. Audi engine drags or hesitates when idle or under load. Audi hesitates and jerks during acceleration. Even though aftermarket MAF sensors are a lot cheaper, it is recommended to stick with OEM Audi MAF sensor. Aftermarket MAF sensors can at times cause unpredictable problems and may not last as long. Click here to check the price on OEM AUDI MAF Sensor. Also, check the price on aftermarket Audi MAF Sensor for comparison. Open the hood of your Audi. 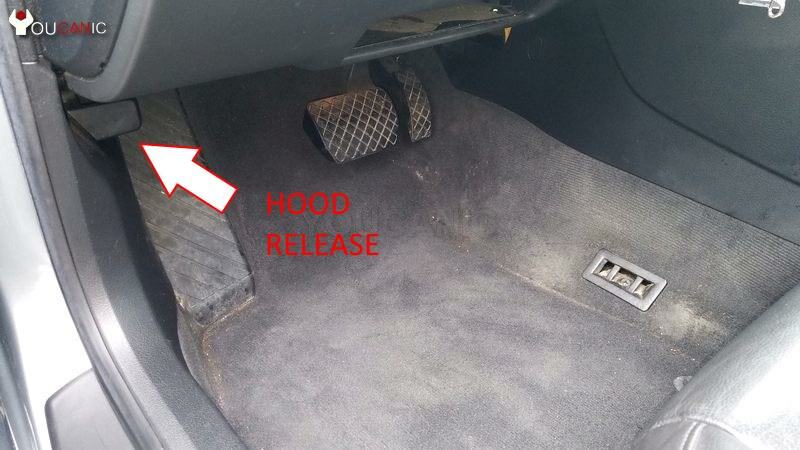 The hood release is located under the dashboard on driver's side. Locate the mass air flow sensor on your Audi. Location of Mass Air Flow Sensor on Audi A4. The sensor is located near the engine air filter housing. Unplug the electrical connector from your Audi mass air flow sensor. Press the connector in order to unplug it from the MAF sensor. Remove the two screws that hold your Audi mass air flow sensor in place. Install the new MAF on your Audi. Tighten the screws so that they are snug. Plug the electrical connector until it locks in place. Below is a table that shows several Audi MAF sensor part numbers and applicable model years. When applicable cross-reference part numbers have been provided as well.